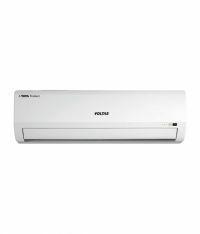 155 JY, 125 CY and 185 JY are voltas Classic and Jade Y-Series 5 Star ACs. These ACs are most popular ACs in the market. These ACs come with Anti-Bacterial Filter, Anti Fungal, Detachable & Washable Air Filter, Catechin Filter, Dust Filter, Silver Ion. You can see list of our Voltas Effecient 5 Star ACs - 155JY, 125CY and 185JY below, perform Side-by-Side comparison. If you need further help, do have a look at Conzumr Guides and Tips. Alternatively you can view all Air Conditioner to choose your own favourites. To Recieve updates and possible rewards for Voltas 1.5 T 185 JY please sign in. To Recieve updates and possible rewards for Air Conditioner please sign in.